Jay Inslee announced his 2012 gubernatorial bid on June 27th, 2011. By my calculations, that was four months ago, yet a quick visit to his website turns up a short announcement video, a placeholder for a graphic with a broken link and buttons to click if you want to follow him on Facebook or Twitter. 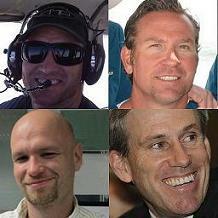 You can also make a donation, but even that’s not easy; you have to click on the Al Gore event button. 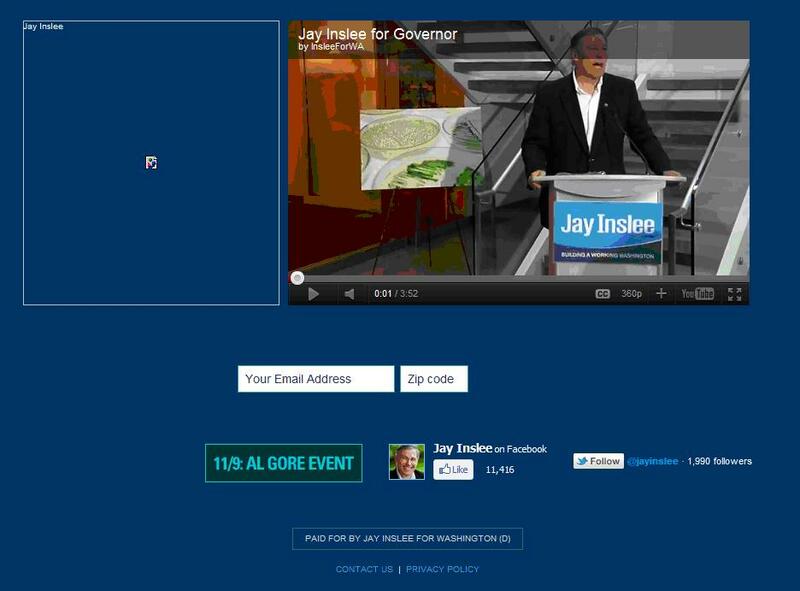 Yes, this is the sum total of Jay Inslee's campaign website. 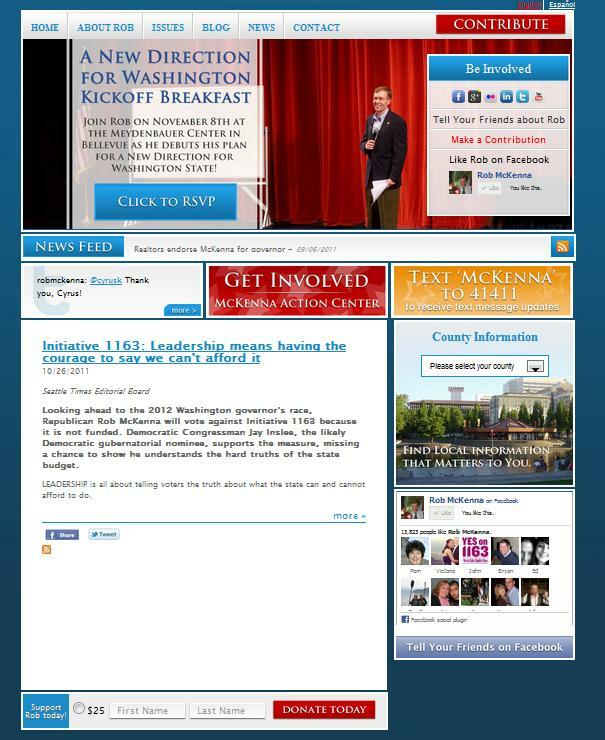 In contrast, Rob McKenna’s website is bursting with information. 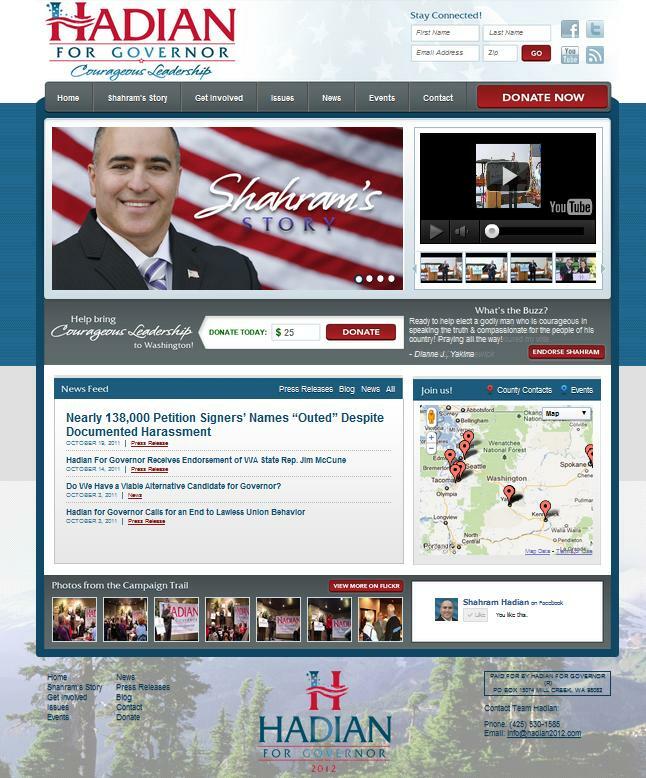 Even Shahram Hadian, a long shot, first time candidate has a better website than Inslee. You have to wonder, does Inslee have any vision at all for Washington, other than it would be really cool to be governor? Does he have an in-depth understanding of the issues facing our state? Does he have any ideas for solving them? Does he even care? Heck, at this point, I’d almost be willing to settle for knowing he has a vague idea of what some of the issues are. Inslee is running his campaign like (a) a rank amateur or (b) he believes he’s so sure to be elected that he doesn’t need to try very hard. Inslee is nothing if not a shrewd politician so I’m going with (b); it dovetails nicely with his arrogant, condescending demeanor.